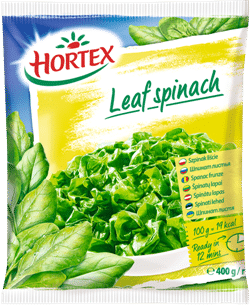 Defrost the spinach and season with salt and pepper. Chicken breast fillets cut horizontal but do not cut them through so that You receive ‘pockets’, season with salt and pepper. 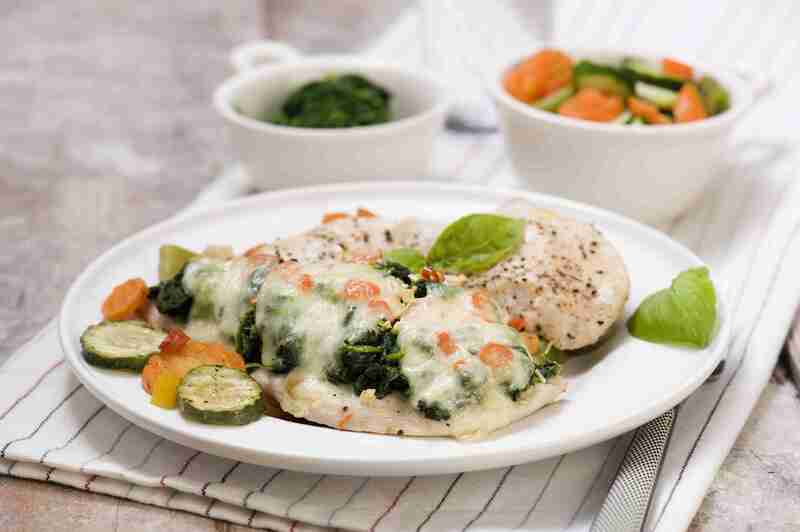 Stuff the chicken pockets with spinach, sprinkle with chopped garlic and place mozzarella slices on top. That way prepared fillets move carefully on a baking plate and put into the up to 180°C preheated oven for circa 15 minutes. Stir-fry vegetables with Italian seasoning stew in olive oil (You can put them also on the baking plate with the chicken pockets and bake in the oven). Serve the fillets on vegetables.